For a list of items to bring to settlement and what you can expect click here. This will give Pride Abstract & Settlement Services information to complete a Search and Preliminary Settlement Statement such as Borrower and Seller names, Social Security #’s, Property Address, Tax Map Number, Zoning Use, Purchase Price, Down Monies, any monetary concessions, real estate companies involved, commissions due, mortgage amount and settlement date. 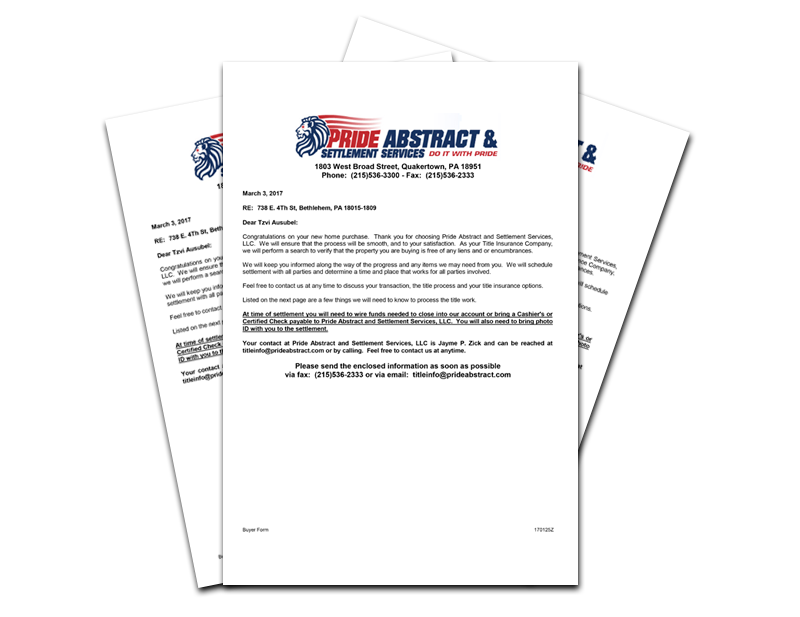 Pride Abstract & Settlement Services would also like you to be aware of Your Rights, click here. Joint Tenants – An undivided interest in property, taken by two or more joint tenants. The interests must be equal, accuring under the same conveyance, and beginning at the same time. Upon the death of a joint tenant, the interest passes to the surviving joint tenants, rather than to the heirs of the deceased. Tenancy By The Entirety – A form of ownership by husband and wife whereby each owns the entire property. In the event of the death of one, the survivor owns the property without probate. Tenants In Common – An undivided ownership in real estate by two or more persons. The interest need not be equal, and, in the event of the death of one of the owners, no right of survivorship in the other owners exist. Tenant In Severalty – One who owns property alone, without any other person being joined in said ownership. Judgment – The decision of a court of law. Money judgments, when recorded, become a lien on real property of the defendent. Judgments often are filed against parties that have common or similar names making it difficult to determine if the judgment is against a party involved in your transaction. Factors to consider, among others, are social security numbers, property numbers, property addresses, spelling of the names, middle initials, date of judgments, and age of the parties. Lien – An encumbrance against property for money, either voluntary or involuntary. All liens are encumbrances but all encumbrances are not liens. 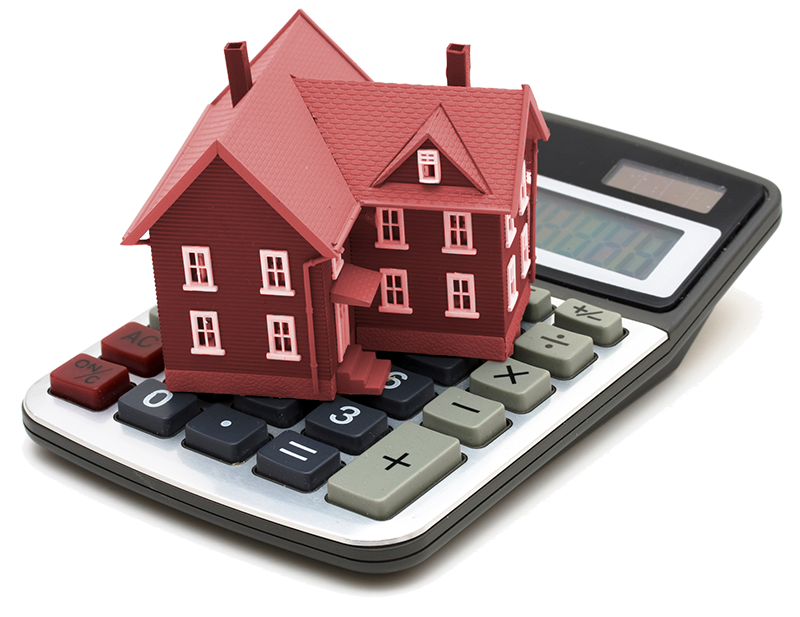 Settlement Statement/HUD1 – A statement prepared by broker, escrow, or lender, giving a complete breakdown of costs involved in a real estate sale.